Tickets will stop being sold online at 12pm pm Saturday 4th November but will be available to purchase on the door for £15. Online ticket sales for this event are closed. Please contact us to make enquiries or to book for upcoming holidays. Please also support our campaign to help abused women on MyDonate. All donations are greatly appreciated. 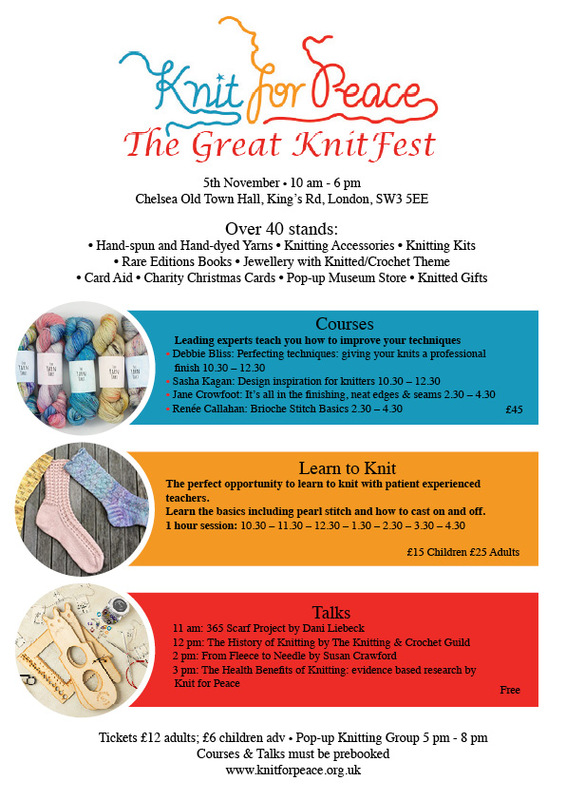 Sponsor a sack of knitting, or if you enjoyed our knitting patterns, why not make a donation? 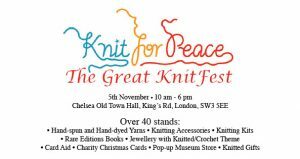 Please make sure to allow pop-ups from Knit for Peace to complete the newsletter sign-up.